New Delhi(PTI): All the 39 Indians, who were abducted by ISIS in Iraq nearly three years back, were killed and their bodies have been recovered, External Affairs Minister Sushma Swaraj said today. 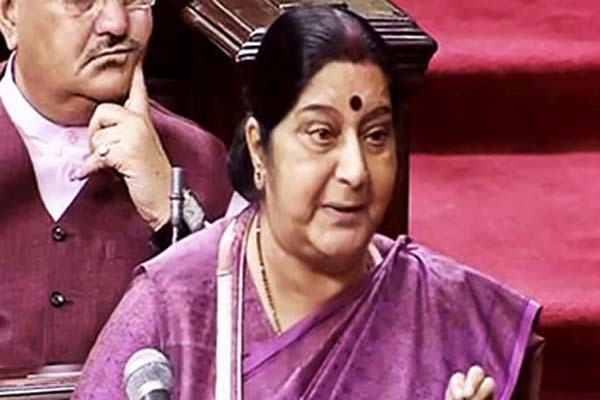 As many as 40 Indians were originally abducted by terrorist organisation ISIS in June 2015 from Mosul in Iraq but one of them escaped by posing as a Muslim from Bangladesh, Swaraj said in a suo motu statement in Rajya Sabha. The remaining 39 Indians were taken to Badoosh and killed. Search operations led to a mound in Badoosh where locals said some bodies were buried by the ISIS. Deep penetration radars were used to establish that the mound indeed was a mass grave, she said, adding the Indian authorities requested their Iraqi counterpart to exhume the bodies. The bodies were then sent to Baghdad for DNA testing. DNA testing by Martyrs Foundation has established identity of 38 Indians while there has been 70 per cent matching of the DNA for the 39th person, she said. Minister of State for External Affairs V K Singh will be flying to Iraq to bring back the bodies on a special flight.